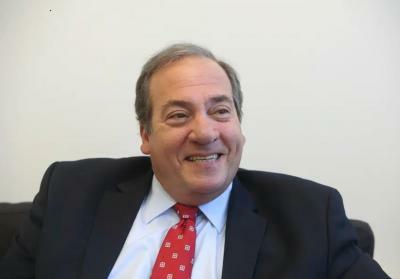 The founder and president of the International Fellowship of Christians and Jews Rabbi Yechiel Eckstein has died suddenly aged just 67. Tributes flooded in for Eckstein, including from Prime Minister Benjamin Netanyahu, Jewish Agency Chairman Isaac Herzog, ministers and other figures. The IFCJ has raised huge sums of money for Israel and Jews in the Diaspora, and has had a deep impact on the lives of Israelis at the lower end of the socio-economic scale and vulnerable sections of the population. Eckstein founded the IFCJ in 1983 to help build bridges between Christians and Jews, and as a source of support for Israel and Jews around the world. The organization has raised over $1.4 billion dollars, mostly from Evangelical Christians, for numerous social programs in the Jewish state, including for Holocaust survivors, as well as funding the purchase of MRI machines for hospitals, and assisting orphans, soldiers and their families and the poor elderly in both Israel and the Diaspora. The IFCJ, or Keren L’Yedidut as it is known in Hebrew, became familiar to Israelis due to the radio ads it would run with Eckstein appealing for donations in his signature American-accented Hebrew, especially around Jewish holidays when the organization provides food and other items for the poor. The organization has also provided large sums of money to encourage and help Jews in the former Soviet Union, Ethiopia, India and beyond to immigrate to Israel. IFCJ has also provided assistance to Israelis affected by conflicts with Hamas in Gaza and Hezbollah in Lebanon, donating bomb shelters, a mobile CT scanner for Soroka hospital in Beersheba, and first aid kits for first responder units, as well putting on day camps for children evacuated from the conflict zone. Eckstein received his rabbinic ordination from Yeshiva University in New York, and served on the faculties of Columbia University, Chicago Theological Seminary, and Northern Baptist Seminary, as well as on the Executive Board of the American Jewish Joint Distribution Committee. He was named multiple times on Newsweek’s list of the 50 Most Influential Rabbis in the U.S, and has also been included in The Jerusalem Post’s list of 50 Most Influential Jews in the world. Eckstein and IFCJ was however subject to criticism, including by religious figures in Israel who were suspicious of the motivation behind the donations from Evangelical Christians, and of the rabbi himself. He was also the subject of criticism due to the high salary he drew from IFCJ. According to a report in the Wall Street Journal, Eckstein’s base salary in 2014 from the organization was $512,000 not including a $544,000 contribution to his retirement plan. Netanyahu’s office issued a statement saying that “The prime minister is deeply pained by the death of Rabbi Yechiel Eckstein who did great work for the welfare of Israeli citizens and for strengthening the connection between Christian communities and the State of Israel. Herzog added that he had merited to work with Eckstein on matters relating to Israeli society welfare, the Jewish Diaspora and aliyah to Israel.